The SSL certificate, issued by Symantec subsidiary CA GeoTrust, in use for the websites listed below is already identified as distrusted by Chrome Canary and Chrome Dev and will be distrusted in Chrome Stable by October 16, 2018 with the release of Chrome 70. IFI should replace the certificate with a trusted one for free with the information on Symantec’s site. I apologize if this post seems condescending; I was merely trying to be informative and drive the urgency. Interesting, vexiqforum is not on the list and is not secure presently by safari and chrome standards. get a nice nastygram when going to it. The VEX IQ Forum uses classic HTTP instead of HTTPS. There is no encryption in use to transmit data to and from your device and the VEX IQ Forum servers. 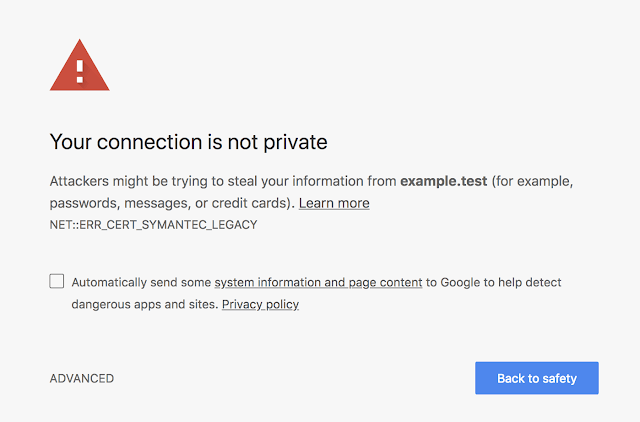 Google has said they would start marking such websites as unsecure in Chrome, but, rightfully so, Chrome treats HTTPS certificate issues much more seriously. In Chrome Dev for Android, I haven’t been able to actually access the VEX Forum except in incognito mode. Is this true for login info as well? If so, what the heck VEX? SSL is a basic part of any website’s security and to not use it, on a forum no less, is unacceptable. The login for the VEX IQ Forum is not a separate page; rather it is just part of any other page. I checked the homepage and found no TLS. You can check yourself. If using Chrome, click/tap the symbol just to the left of the URL in the address bar. Yeah I know, I just verified that on my phone. Going to do more testing later. Login information is easily intercepted, with usernames in plaintext and passwords in the form of an unsalted md5 hash. This needs to be fixed.